People who confess their faith in Jesus and commit to turn away from their sins should be baptized when they place their trust in Jesus. The practice of baptism does not save us – God's grace does – but Biblical baptism is a believer's first act of obedience and submission to Jesus. With very unique exceptions, all conversion experiences described in the Bible are accompanied by baptism. We believe God designed baptism to be a sacred event in the Christian life: it seals a new believer's faith in Jesus and marks the beginning of a new life. In the Bible, baptism is also connected with the reception of the Holy Spirit, God's indwelling presence in every Christian. At PCC, we baptize by water immersion because we believe it is the most Biblical method of Christian baptism. “Baptize” comes from the Greek word meaning to “immerse or dip in water.” This same word is used in the Bible to describe the practice of baptism. In Romans 6:3-4, the Apostle Paul describes baptism in this way: “all of us who were baptized into Christ Jesus were baptized into his death … we were therefore buried with him through baptism into death in order that, just as Christ was raised from the dead through the glory of the Father, we too may live a new life.” Paul was explaining that to lower a person into water symbolizes burial with Christ; likewise, to lift a person out of the water symbolizes resurrection from the dead. Water baptism, in itself, cannot wash away sin. Only the blood of Jesus can do that. Water immersion is a God-given representation of the way in which our sin and guilty conscience are cleansed by Christ's blood. Deciding to be baptized can be a difficult decision. It requires humility and a child-like obedience to God's commands. In baptism, many people find one of the most meaningful experiences of their lives. This religious feeling or emotion is not the purpose of baptism, but God has graciously given us this practice to fulfill our human need for a special marker of this all-important milestone. 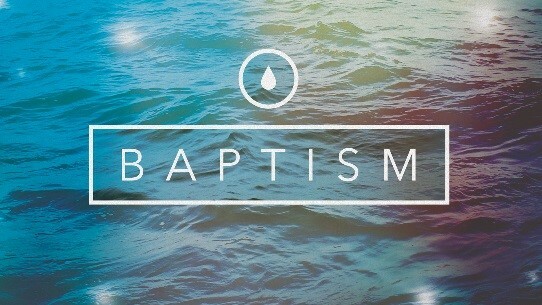 Baptism also serves as a continual reminder and source of reassurance to each baptized Christian. We believe that God instructs us to be baptized by water immersion, but we do not condemn those who disagree with this position or have not been fully instructed about baptism. Jesus Christ is the one and only Savior of humankind; He is also our one and only judge. His judgments are merciful and just. The responsibility of First Christian Church is to teach the Bible as accurately and lovingly as we can, particularly on matters of eternal consequence. We do offer strong counsel to anyone whose conscience is being led toward baptism to obey the Lord. Those who truly believe in Jesus must obey His teachings. At PCC, you may be baptized at any time. To be baptized during a worship time, contact one of our ministry leaders or simply come to the front at the end of the service. Those who lack assurance in their first baptism are encouraged to be baptized again; however, a second baptism is not needed for those who have sinned after their first baptism. The sanctifying work of God's Holy Spirit – our transformation into Christ-likeness – is a lifelong process, and believers make mistakes along the way. The Bible instructs us to pray for forgiveness and continually grow in our relationship with God.